Few days ago, a lower end unknown Nokia smartphone, with model numbers TA-1118, TA-1117, TA-1104, TA-1113, TA-1125 and TA-1115, passed Bluetooth SIG. We assume it is a lower end device because it supports Bluetooth 4.2 and uses MediaTek’s BT chip (probably integrated with the MediaTek SoC). Today, a photo leaked leading us to believe that the device that visited BT SIG is the upcoming Nokia 3.1 Plus. The photos of the backside of Nokia 3.1 Plus’ retail package were published by SmartPrix, as far as I can trace. We can see that the device features a 6-inch 18:9 low resolution HD+ display, 13MP+5MP dual camera setup on rear and an 8MP front camera; 3500mAh battery, a fingerprint sensor and an “octa-core” CPU. 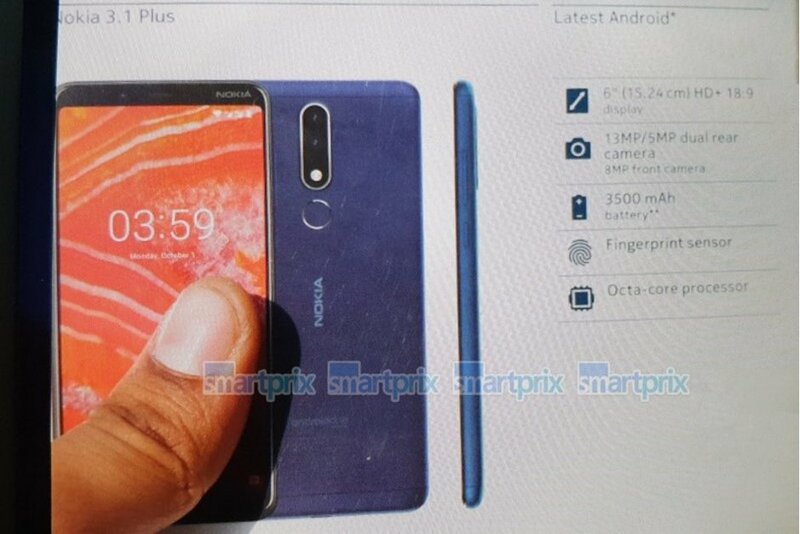 SmartPrix suggest that HMD might announce the Nokia 3.1 Plus tomorrow at their event in India. HMD has been promoting the launch event on social media with taglines like “Go bigger” and “Do more”, and a 6-inch and 3500mAh battery do fit in that taglines. We all of course are expecting the Nokia 7.1 Plus tomorrow, but this 3.1 Plus leak leads me to believe that we will have to wait for the event in China on 16th October to see the Snapdragon 710 running Nokia phone. Or we see both tomorrow.